Does China Plc Center Store Share the Information It Receives? * Information You Give Us: We receive and store information you enter on our Web site, however we do not store credit card information. We use the information that you provide for such purposes as responding to your requests, customizing future shopping for you, improving our stores, and communicating with you. We do not store credit card information on our website! At check out you are directed to paypal which handles all credit card purchases and receiving all information. Our store does not keep track or remember last payment method used and credit card info. You must re-enter every time you make a purchase. * Third-Party Service Providers: We employ other companies and individuals to perform various functions on our behalf. Examples include delivering packages, sending postal mail and e-mail, removing repetitive information from customer lists, analyzing data, providing marketing assistance, providing search results and links (including paid listings and links), processing credit card payments, and providing customer service. 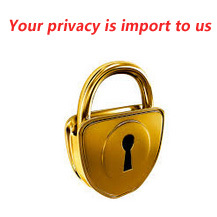 They have access to personal information needed to perform their functions, but may not use it for other purposes. * Automatic Information: We receive and store certain types of information whenever you interact with us. For example, like many Web sites, we use "cookies," and we obtain certain types of information when your Web browser accesses China Plc Center Store. * E-mail Communications: To help us make e-mails more useful and interesting, we often receive a confirmation when you open e-mail from China Plc Center Store if your computer supports such capabilities.